In our busy lives it’s always nice to find time to sit and read a good book. It’s also nice to have some lovely handmade bookmarks to hand, I hate to see a book getting the corner of it’s page turned over! These are really simple to make in about 30 mns, depending on whether you hand or machine stitch. 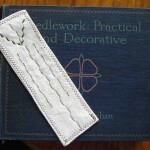 If you’ve read my other posts you might recognise the fabric and trim in this bookmark, remember my tip about not throwing small pieces of fabric away? 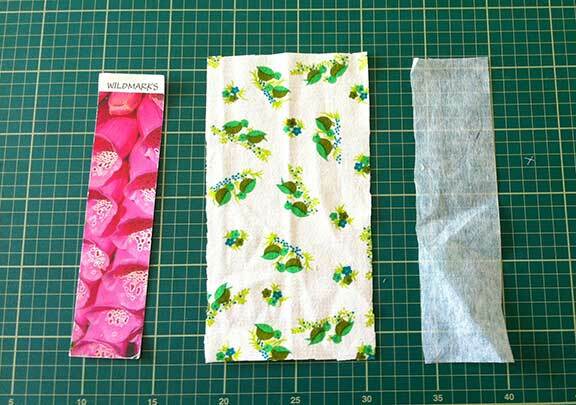 Fabric, most fabrics can be made into bookmarks. Cut a piece of fabric 12cm x 23cm (I used an existing bookmark to measure). Cut a piece of interfacing 6cm x 23cm. 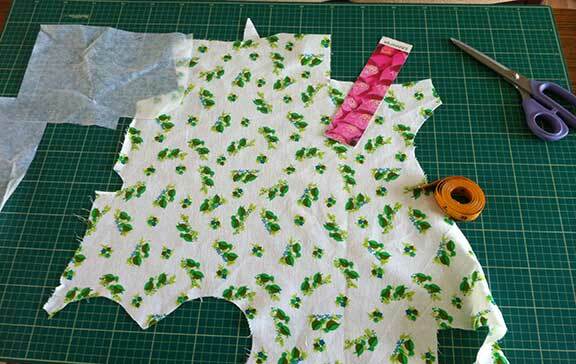 Iron the interfacing onto one half on the wrong side of fabric. Keep right sides together sitch the long side and one short side together. Trim the seams. Turn right sides out and press turning the open end in. This is another place where you can use my favourite Top stitch technique. Top stitch round all four sides making sure you catch the open end. 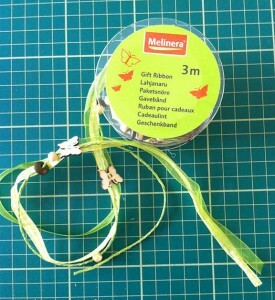 I used gift wrap ribbon for mine, it was on special at Lidls (discount store), it was in the bargain bin for 49p. I’ve already used it in a few projects! 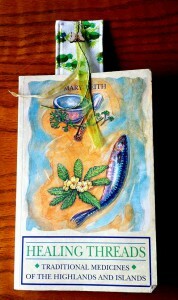 One completed bookmark. I would normally make a batch of these they’re so quick and easy but did a single for this tutorial. They make great wee gifts and stocking fillers! 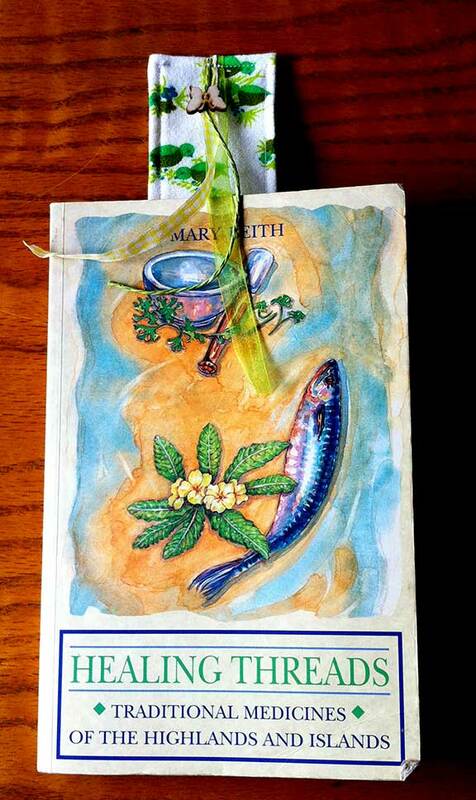 I love reading and collecting bookmarks, but never thought of making one. 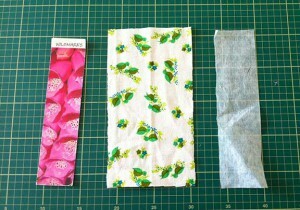 I have some fabrics and materials, will try it.